Recent advances in information technology have brought many digitalized applications into our lives, such as automated Interactive Voice Response (IVR) over the phone, Skype, and Fax-on-Demand, making our lives more convenient than ever. Many of these applications have broken the boundary between analog data and digital data, and the newest developments are toward incorporating various forms of communications into a unified, PC-based messaging platform—including phone calls, e-mails, text messaging and voice mail—allowing users to receive information anytime, anywhere. When this technological trend is applied to residence or community management, much of the household information can be digitalized and connected with the community information system, which will use a unified messaging platform to send messages to our computer, telephone, TV, smartphone, or other end user devices, allowing us to have firsthand information about our community, deepening our participation in community affairs and enhancing our community awareness. This is what we call "e-community" and "e-life". What are the differences between an "e-community" and a "non e-community"? For example, when a suspicious event happens in a community without informationized management, concerned residents can only visit the community office to review video surveillance records to find clues related to that event. In contrast, residents in an "e-community" can view real-time and historical videos of their community on their TVs in the comfort of their homes, or by logging into the community website from a computer, smartphone or any other portables device wherever they are. Living in an "e-community", residents can also query and browse other information about their community via the Internet, for example, searching for upcoming events or checking the power usage of their community. With informationized community management, the community management committee or an outsourced company can send notices and messages to residents via a computerized community management system. The management system can also be linked to a contracted security company to provide more services. Such digital trends are making the management of a community more convenient and efficient and improving the well-being of community residents. The deployment of an "e-community" requires a reliable computer system with rich interfaces for connecting to the community video surveillance system, entrance control system, intelligent power metering system, community management system, and security company customer service system. This computer system serves as a computing platform to acquire data from connected devices, process the acquired data, store data, and display information as required by applications. A commercial-grade computer is inadequate for carrying out such missions as they usually have a limited number of interfaces and are less stable and reliable. The computer system displays information on a display or TV screen in the community office, or sends required information to residents’ terminal devices such as desktops or smartphones. With the "e-community" system, residents can have firsthand information about their residence and their community when they are at home, at the workplace, or even when travelling thousand miles away from home. Residents will be able to identify and talk to visitors ringing the doorbell when they are in a bedroom, living room, kitchen or even bathroom simply with a hand-held device (tablet or smartphone), through the TV, or with other devices which have HDMI or Wi-Fi interfaces, without having to move to the intercom to answer it. Residents can review the power consumption status of their household and of community public areas through handheld devices or computers, so that they can manage their power use behavior. Video cameras are installed throughout the public areas in the community and linked to a control center. Security guards can review real time video records in the control center to oversee the security situation in the community, and residents can use their own TV or hand-held devices to watch their children playing in the community as well as vehicles entering or leaving the community. 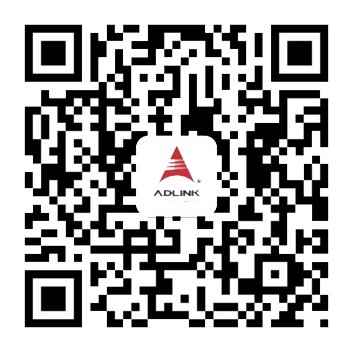 Residents can receive community information via various kinds of devices. A contracted security company can receive real time updates on security situations in the community, and dispatch persons to handle emergency situations if necessary. Residents can set links to contracted companies and allow them to get specific data about the health condition of their family members or the operation status of their electronic appliances so that those companies can provide services if they detect any abnormal situations. Meanwhile, with the use of video cameras, residents can observe the status in their home with mobile devices when they are away. 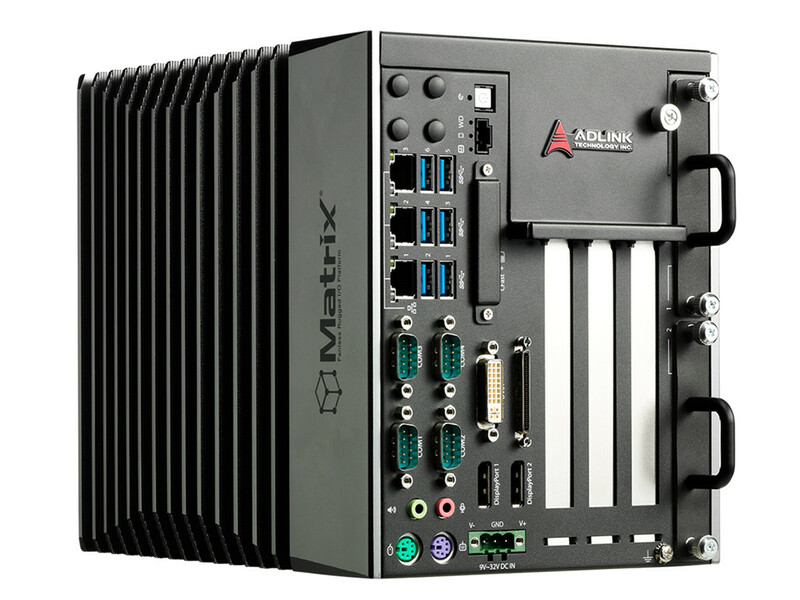 The ADLINK MIX-110 is a small form factor (234.4mm x 191.2mm x 56.6mm) embedded system with a compact design suitable for a community management system. 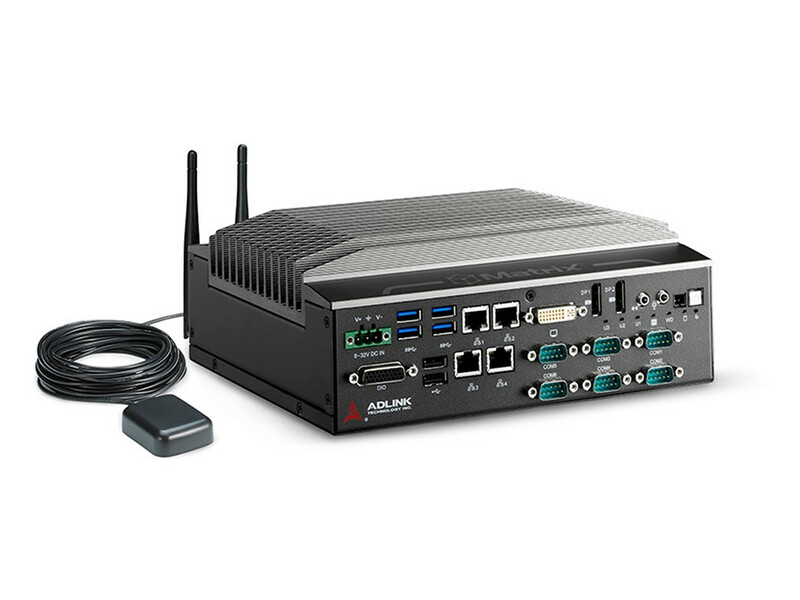 Running on a power-saving Intel® Atom™ Processor D2550, the MIX-110 provides up to 6 USB ports, 2 serial COM ports, 1 Mini PCIe expansion slot, one general purpose IO and 2 SATA 3 Gb/s slots. 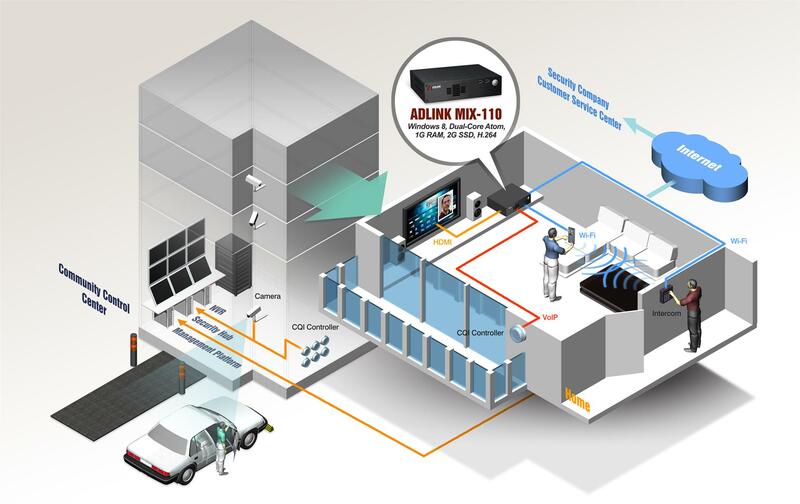 These interfaces can be used to connect with the community’s network video recorders (NVR), CQI smart power meters, RFID-enabled entrance control card readers, community management system as well as a security company's customer service center network. The MIX-110 provides dual display with VGA and DVD-D outputs to support high-definition screens set up in the community committee office. Meanwhile, wired and wireless communications are available for connecting with terminal devices in the homes of community residents. 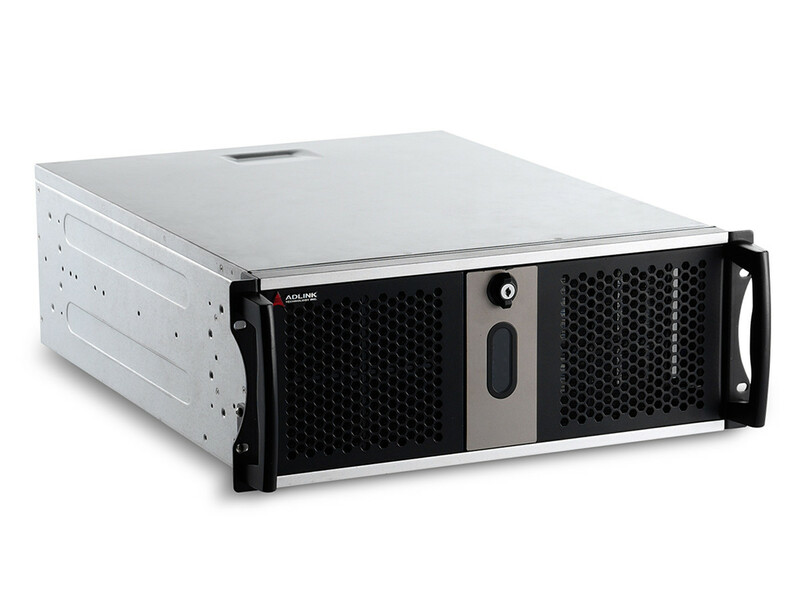 Featuring rich I/O, small dimensions, low power consumption and ADLINK’s reliable design, the MIX-110 delivers stability and reliability, and is an ideal choice for informationized community management.